SPYRE Group has brought forward construction of its waterfront SOKO development at West End after achieving sales of $54 million. 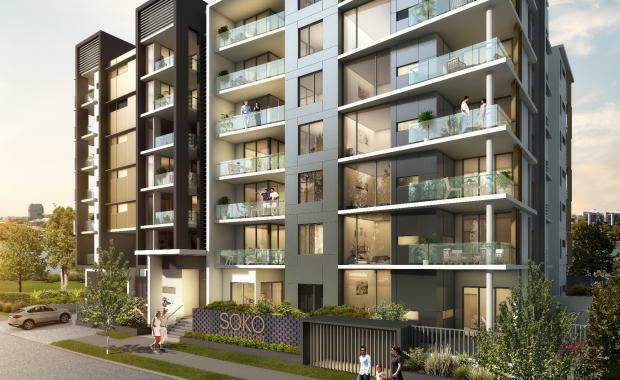 Builder Civic has been appointed to construct SOKO and will commence onsite this month. The project, located at 21 Duncan Street, has a construction timeline of 13 months. Spyre Group general manager Andrew Malouf attributed the project’s success to its location, finishes and technology. "SOKO is set apart by its absolute waterfront location, modern finishes and the latest smart building technology," he said. "Buyers have been extremely inquisitive about the pioneering virtual concierge system that is being developed at SOKO. "The virtual concierge system, which is a first for Brisbane, allows residents to log maintenance requests, monitor utility usage, book transport to the airport, take opportunity of exclusive deals in the area and a number of other features. The development also provides the latest technology in integrated security and home solutions, right down to number plate recognition for residents and visitors. Mr Malouf said smart technology was not restricted to higher priced apartment stock. “Every apartment will be able to take advantage of these innovations which has yielded strong sales across investor and owner occupier stock,” he said. Mr Malouf said the virtual concierge would set a precedent for Spyre Group’s upcoming developments. “We are already in discussions with a manufacturer out of Italy for our next development in New Farm,” he said. Designed by Vabasis Architects, SOKO Waterfront’s one-bedroom apartments are priced from $409,000, with two-bedroom configurations from $589,000 and three bedrooms starting at $989,000.